It’s easy to take our sense of sight for granted. It isn’t until the sense is in some way compromised that we realise how vital to our daily happiness it actually is. 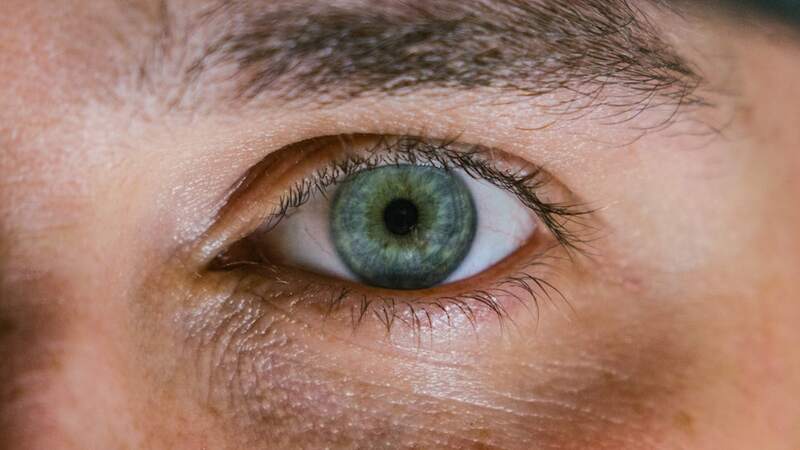 Whether your eyes are red from a long day, or you suspect you might have a deeper eye infection, home care is a short-term fix and long-term practice that keeps your eyes from troubling the brain behind them. This article explains types of eye problems and at-home washing techniques that may assist. Photo by Jordan Whitfield on Unsplash. While it is more obvious that people who wear contacts or glasses ought to consider regular, relaxing eye flushes that combat generally dry eyes, eye pain, and eye fatigue, anyone can feel rejuvenated after a good rinse. Washing eyes also combats eye infections and the accidental introduction of a foreign object to the eye, like a hazardous chemical or small material. Here is an overview of common eye ailments. Dry eye syndrome: Also known as keratoconjunctivitis sicca, dry eye syndrome cannot be cured. It can be relieved with home eye care and, in severe cases, medical attention. Eye infections: Every part of the eye is prey to infections. They can be bacterial, viral, or fungal. Symptoms vary greatly; if you’ve got irritation, redness, discharge, or reduced vision, you might be suffering from an eye infection. While the eye is likely to resolve minor infections without treatment, home washing alleviates discomfort. Eye pain: Unfortunately, the causes for eye pain are hard to diagnose and may be related to more serious issues. Minor eye pain is usually caused by inflammation of the cornea. Chronic eye pain points to issues like glaucoma. If home remedies do not alleviate pressure, consult an eye care specialist. Eye floaters: More scientifically referred to as vitreous floaters or eye spots, eye floaters are small specks, circles, or cloud-like visions in the eye. They are are a result of the clumping or disintegration of the vitreous humor from the back of the eye. Vitreous humor is a jelly-like substance in the inner eye. Eye floaters most often occur due to old age. Blurred vision: While it’s one of the surest signs of eye disease, blurred vision can be caused by eye floaters, eye pain, discharge, or itchy eyes. If the issue persists, eye doctors are necessary. Photo by Tom Pumford on Unsplash. Home eye washing techniques are effective-- to an extent. They can be used in the case of chronic eye issues as listed above; if a foreign object is caught in the eye; and in the case of hazardous chemical contact. However signs of serious poisoning include vomiting, headaches, lightheadedness, double or impaired vision, dizziness, loss of consciousness, rashes and fevers. In case of such an emergency, time is of the essence: do not waste time preparing the home washing solutions listed below. Immediately begin rinsing the eyes and face with tap water to begin the cleansing process. Next, go immediately to the nearest eye care center or hospital. Whether it’s a rinse, a flush, or a droplet, saline water solutions are the easiest route to healthy eyes. If you’re unable to purchase a saline eye washing solution from the pharmacy, here’s how to make your own: Mix one cup of sterilised water with ½ teaspoon of salt. Boil in a pot for 15 minutes. Cool the solution to room temperature; never use overly hot or overly cold water on the eyes. Creative brewers may also boil spearmint leaves or chamomile tea with the water for a truly refreshing solution. Use homemade solutions within 24 hours. And, be careful: homemade eye solutions can cause acanthamoeba infections, which can be severe. Before diving in, decide how much time you will spend flushing the eyes. For a relaxing daily rinse, simply wash the eyes until satisfied. Mild irritants like hand soap and shampoo require around five minutes of rinse time. More severe irritants like hot peppers beg 20 or more minutes. Mild household acids need 20 minutes or less. The most serious penetrating corrosives, like drain cleaner, bleach, and ammonia, need 60 minutes or more to flush. Photo by Tim Wright on Unsplash. So you’ve made your solution and know how much rinsing time you’ll need. What do you use for the actual rinsing process? Three types of rinse systems exist in most homes. They are a large bowl; a small cup or shot glass; or an eye dropper. Here’s why and how to use each type. Large rinsing bowl: The most versatile of all rinsing mechanisms, a big bowl is the right tool to in almost any situation, from flushing large particles from the eyes to relaxing them after a good cry. Get a large enough bowl to submerge your whole face in it. Dunk your head in, then open the eyes. Gently roll the eyes around in the head, like you’re looking for the edges of the bowl. After some time, remove your head and blink to further distribute the solution. In all eye washing circumstances, refrain from pushing the eyes roughly with a towel. Instead, gently dab around the eye sockets. Small cup: One of the best methods for relieving tired, irritated eyes is with a shot glass. Pour your saline solution into the glass; then, place it on the eye with your head facing down. Flip the head and glass upward so the solution runs into the eye. Beware that this method gets messy! Have a towel near. As with a big bowl, roll the eyes in a circle while the eye is being flushed and blink a few times after the solution is applied. Eye dropper: Eye droppers are really only effective for mild discomfort and dry eyes. They also may require more than one drop. It is important to purchase a dropper with a soft, rounded edge, and to clean the dropper before use. Never touch a dropper directly to the eye. Whether you’re rinsing the eyes after a long day in front of a computer, or cleansing them of seriously harmful chemicals, home washing techniques can quelch irritation in eyes. Of course, caution is advised when devising one’s own solution. Moreover, emergency situations may render home techniques inadequate. In normal cases, the proper eye home washing care regime will bring brightness to your day!